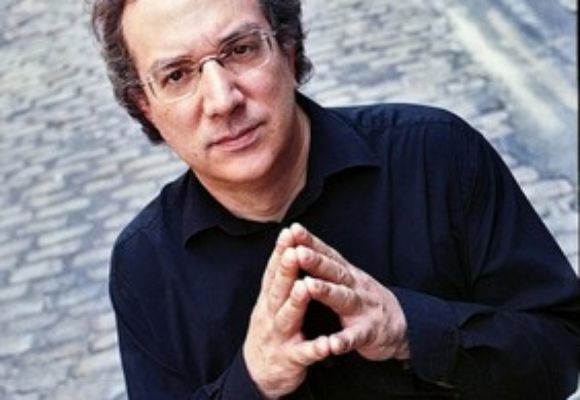 Uri Caine was born in Philadelphia and began studying piano with Bernard Peiffer. He played in bands led by Philly Joe Jones, Hank Mobley,Johnny Coles, Mickey Roker, Odean Pope, Jymmie Merritt, Bootsie Barnes and Grover Washington. He attended the University of Pennsylvania and studied music composition with George Rochberg and George Crumb. Caine has recorded 22 cds as a leader. His most recent cd is a jazz trio, Siren, (Winter and Winter 2011) with John Hebert on bass and Ben Perowsky on drums. He has made cd's featuring his jazz trio, his Bedrock Trio and his ensemble performing arrangements of Mahler, Wagner, Beethoven, Bach and Schumann. Recently Caine has received commissions from the Vienna Volksoper, The Seattle Chamber Players, Relache, The Beaux Arts Trio, the Basel Chamber Orchestra, Concerto Koln and the American Composers Orchestra. Caine was the Director of the Venice Biennale for Music in September 2003. He has performed his version of the Diabelli Variations with orchestras including the Cleveland Orchestra, the Moscow Chamber Orchestra, the CBC Orchestra in Canada and the Swedish Chamber Orchestra. From 2006-2009 he was composer in residence for the Los Angeles Chamber Orchestra and premiered his Concerto for Two Pianos and Chamber Orchestra with Jeffrey Kahane in May 2006. In 2009 he was nominated for a Grammy Award for The Othello Syndrome. During the past several years, Caine has worked in groups led by Don Byron, Dave Douglas, John Zorn, Terry Gibbs and Buddy DeFranco, Clark Terry, Rashid Ali, Arto Lindsay, Sam Rivers and Barry Altschul, the Woody Herman Band, Annie Ross, the Enja Band, Global Theory and the Master Musicians of Jajouka. He has received grants from the Pennsylvania Council on the Arts , the National Endowment for the Arts and the Pew Foundation. In December, 2010 he was awarded a grant by the USA Artist Fellowships. He has performed at many jazz festivals including The North Sea Jazz Festival, Montreal Jazz Festival. Monterey Jazz Festival, JVC Festival, San Sebastian Jazz Festival, Newport Jazz Festival, as well as classical festivals including The Salzburg Festival, Munich Opera, Holland Festival, Israel Festival, IRCAM, and Great Performers at Lincoln Center. He lives in New York City with his wife, Jan.